Looks Good from the Back: Adrien; Confession Time. There is just something about Chanel, even in lipstick form. I seriously love it just as an object - the shiny metal case, the white Cs on top, the satisfying click you hear when you put the top back on. 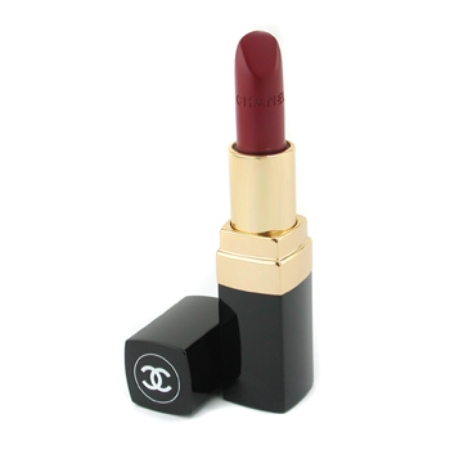 I even love that it has "Chanel" carved right into the lipstick itself. Sometimes a girl just needs to buy something fabulous and completely frivolous, you know? Tell me about your thing. Oh, I love this on you! And I love a fancy lipstick, too. It feels so indulgent. Plus it's probably the only Chanel you own, right? I haven't actually done it yet, but I've been contemplating purchasing a Mason Pearson brush. I can't decided if buying a $200 hairbrush is frivolous or just stupid. That color is perfect for you and yes, worth every penny. Sometimes you need to treat yourself. My thing is perfume. 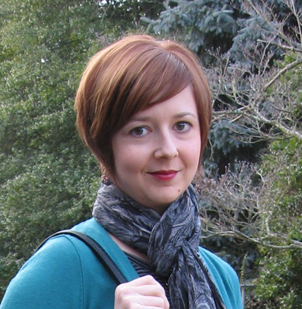 Danielle, I just got an inexpensive boar bristle brush at Sally's Beauty Supply and I love it! Drugstores are carrying them now too (some are mixed with synthetic). If you've never used one before, you may want to try a cheap one first and see if you like it! Definitely worth the price. It's a beautiful color on you. It's dramatic, but it doesn't take you over. I'm not sure I have a "thing". Or maybe the problem is that I have too many. Total true story: my lips are allergic to a chemical found in almost every lipstick on the planet…except Chanel. Seriously, every lipstick out there will produce a chemical burn on my lips, taking weeks to heal. EXCEPT CHANEL. Liz, that is crazy, I have something similar! Can't wear any drugstore lipsticks and a lot of nicer brands. I have had success with Laura Mercier, though.